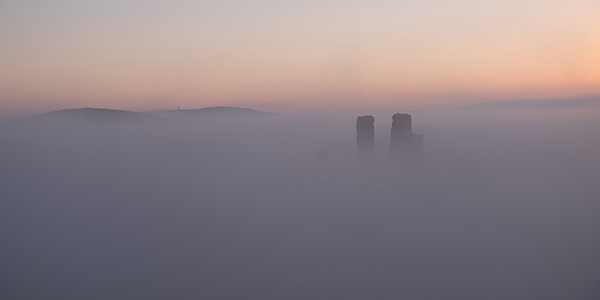 In Autumn and winter the mist sometimes hangs around Corfe Castle leaving the top poking through. It is necessary to climb one of the the close-by hills to get this view, generally with a number of other photographers sharing the same thought ! Location: Corfe Castle from the West.